The story is nearly done, series creator says. Square Enix shared little information about Dragon Quest XI during its Dragon Quest 30th Anniversary Project Presentation today. Series creator Yuji Horii said the story is nearly finished and the beginning part of the game is playable. But because of the game’s volume, it will still take some time. Horii said he is hoping to release Dragon Quest XI in the series’ 30th anniversary year, which series unification producer Ryutaro Ichimura defined as between May 27, 2016 and May 27, 2017. 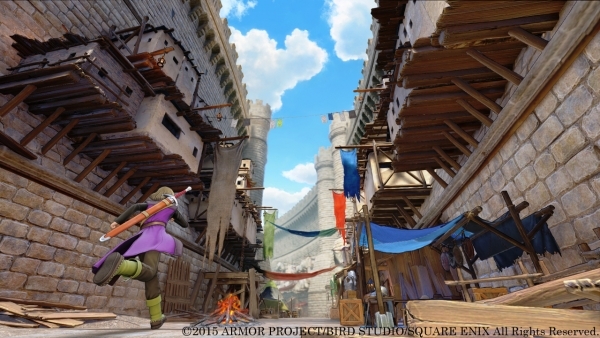 Dragon Quest XI is in development for PlayStation 4 and 3DS. Thanks, Hachima Kikou and Games Talk.